The CROWN Initiative | The Core Outcomes in Women’s health (CROWN) initiative is led by journal editors, to harmonise outcome reporting in women’s health research. 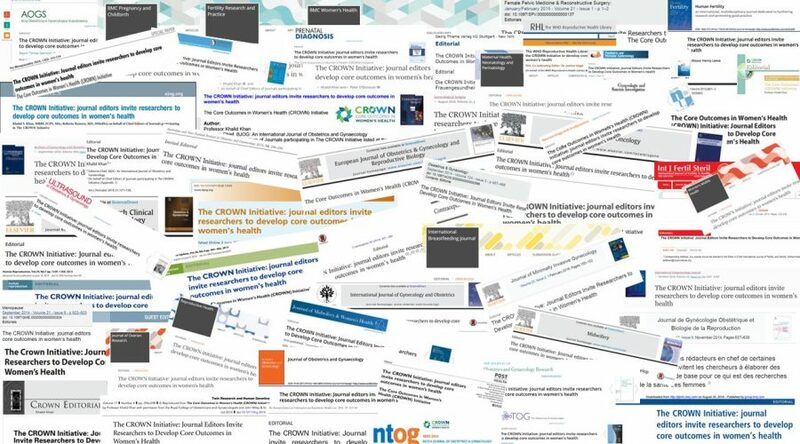 The CROWN Initiative – The Core Outcomes in Women’s health (CROWN) initiative is led by journal editors, to harmonise outcome reporting in women’s health research. 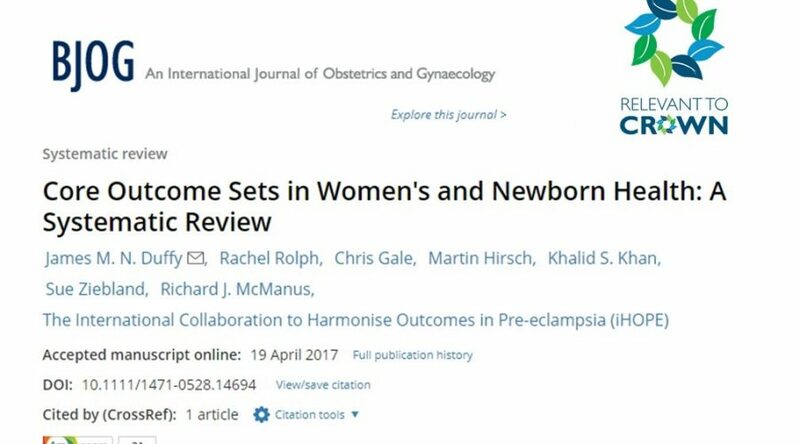 A study that systematically reviewed and characterised registered, progressing, or completed core outcome sets relevant to women's and newborn health. 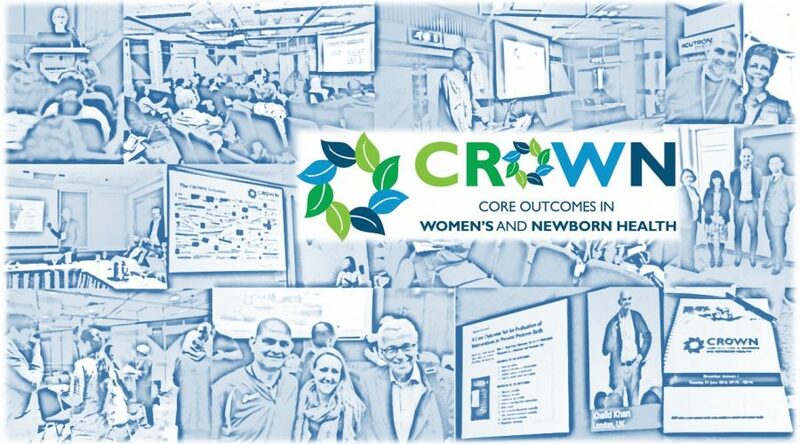 The CoRe Outcomes in Women’s and Newborn health (CROWN) initiative is an international initiative, led by journal editors, to harmonise outcome reporting in women’s health research. We are coming together to address the widespread, unwarranted variation in reporting of outcomes. This problem makes comparison between and combination of results across studies difficult, if not impossible. 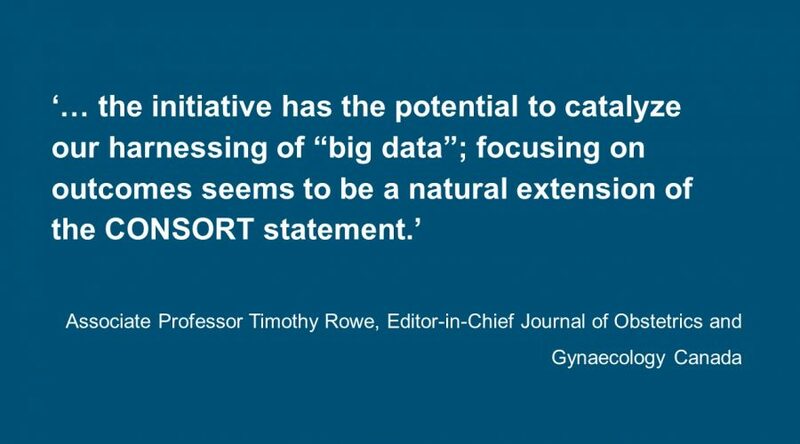 As a result there can be difficulties in synthesising evidence to generate recommendations for clinical practice which is detrimental to the health of women and their babies.